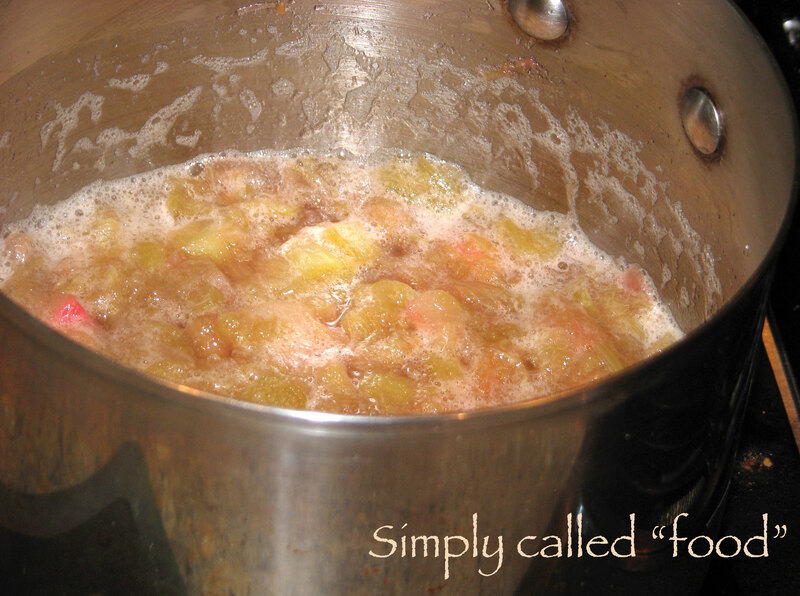 Stewed rhubarb | Simply called "Food"
Up until now, I made a my Rhubarb upside down cake, rhubarb cookies, and now I took some and I stewed it. You don’t need to add much sugar or it turns into something not as healthy as it is supposed to be. 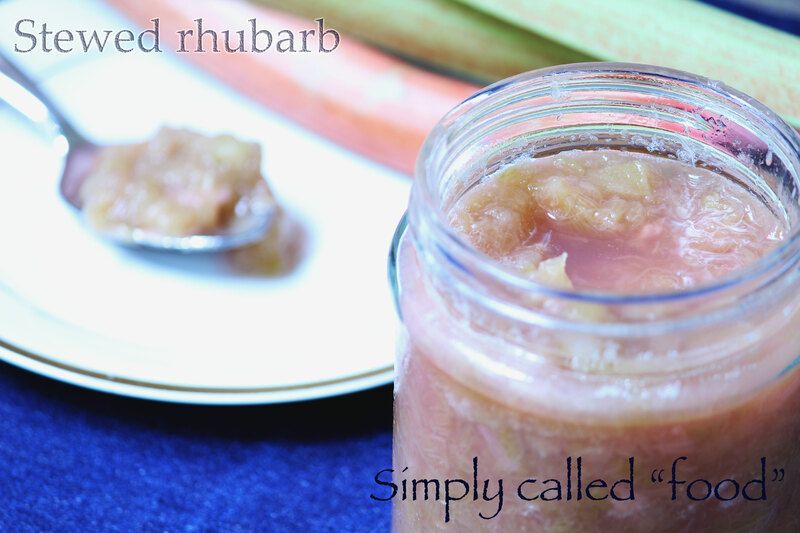 In this recipe, I cooked 4 cups (1000ml) of raw rhubarb, and it gave me 2 cups (500ml), when it was cooked. You can use it in cereals or on ice cream. 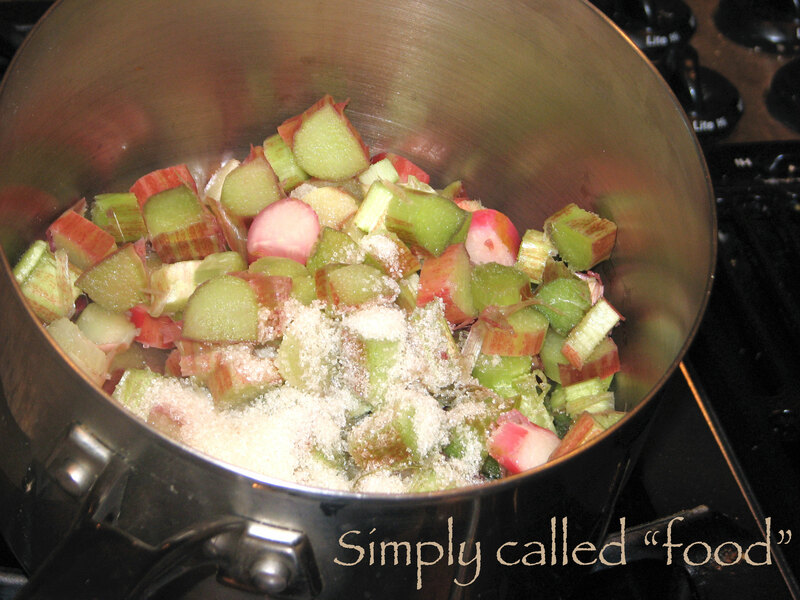 In a pot, mix the rhubarb and the sugar. Cook it for 10 minutes until it turn into puree. And that’s it! Really quick and easy. It’s not worth buying it! Tags: Food, Fruit and Vegetable, Gluten free, Recipe, Rhubarb, Vegan, Vegetarian. Bookmark the permalink.